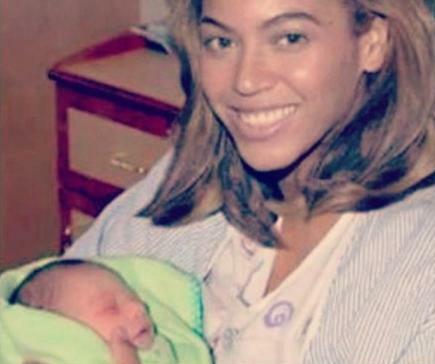 Beyonce’s baby is finally here!!! And the luckiest kid ever who has Jay-Z and Beyonce as parents is reported to be called Blue Ivy Carter. Not what you probably expected. No, really. I know celebs like to name their kids some pretty funky things — and even though a color as a name isn’t so traditional — I have to say that Beyonce’s choice for baby Blue is both fierce and classy at the same time, just like B herself. Sure, Green Ivy Carter would have probably made more sense, since, ya know, ivy is traditionally green in color. But I’ll take it either way. 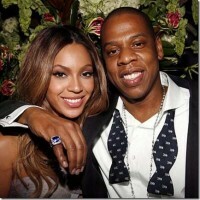 What do you think of Beyonce and Jay-Z’s baby name? And what crazy name would you name your baby (when you’re old enough to have one, natch!) if you were a celeb? your baby is so cute i wish i was ur freind and in new york! Cutest little thing its funny how all those people made fun of that baby buy Blue is going to be famous one day. WELL loVE BEYONCE!BE HAPPY WITH YOUR NEW BABY!!! gul that baby is cute and jz is tooo and be safe and warm luv you gurl!!!!!!!!!!!!!!!!!!!!!!!!!!!!!!!!!! your baby girl is so cute i wish i was in your family and again she is super cute. awwwww the baby is soooo cute! :) happy for u all! CONGRATULATIONS on the new baby big fan..
i think beyonce deserves a baby p.s. I love her music. sierra is right. she didnt have that baby like normal mothers would. can you say surrogate! i dont see whats the point in all her fronting and schemeing. like who cares if its surrogate just keep it real is all im saying! smdh! Congrats to J-zyonce. But am glad the baby does’nt look like her daddy.